(Mobile Security Conference) 2017 in Shanghai, China. 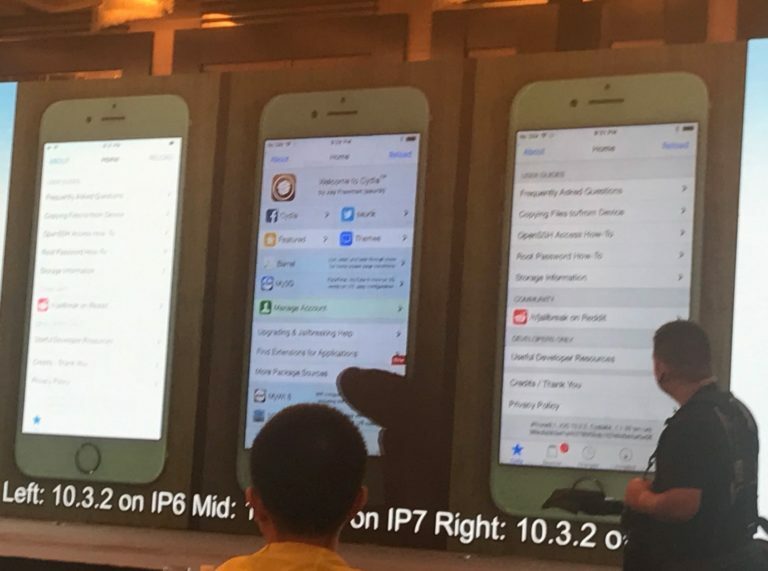 7 in the middle running iOS 11 beta and in the right iOS 10.3.2.
who are waiting for its jailbreak release. 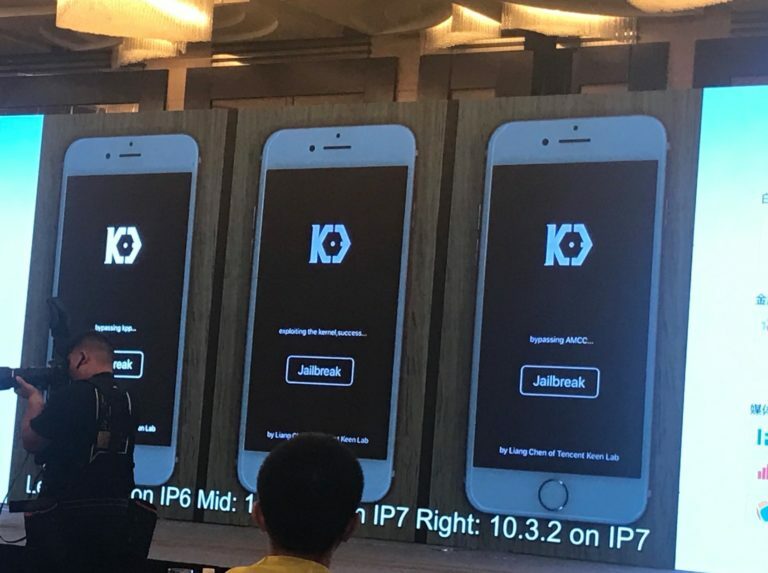 in beta stage, the probability for jailbreak is iOS 10.3.1 than the iOS 10.3.2.
stops signing iOS 10.3.1 soon.